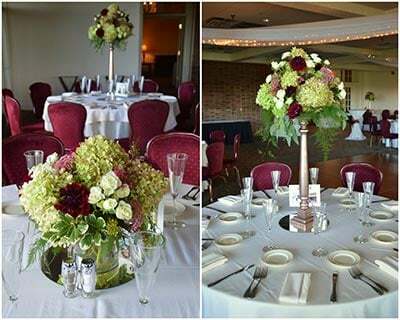 This romantic wedding reception took place at the Yahnundasis Golf Club in New Hartford. 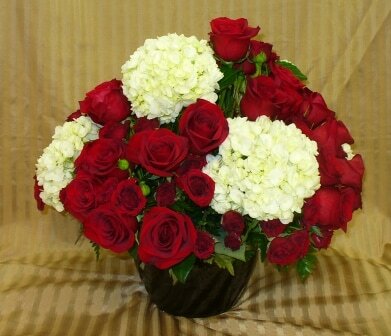 The centerpieces were created with a combination of antique green hydrangea, burgundy dahlia, white spray roses, pink wax flower and seeded eucalyptus. 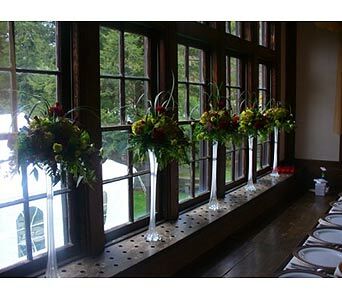 The short centerpieces were arranged in glass cylinders and the tall centerpieces were arranged on top of rose-gold colored pedestals created by our designer Jamie. 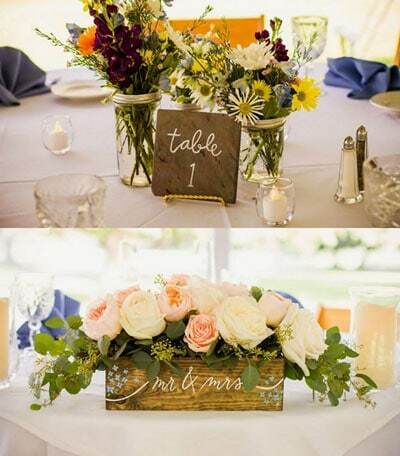 This rustic barn wedding was personalized by the bride and groom with custom centerpiece containers. 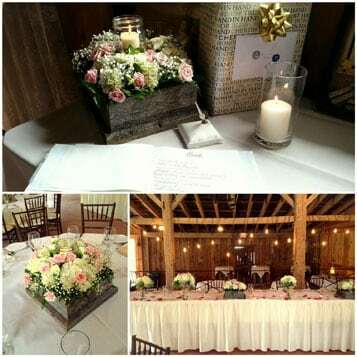 We filled each hand-built barn wood container with white hydrangea and light pink spray roses, centered with a mason jar and candle. 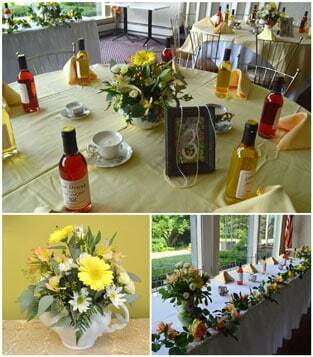 For this vintage themed wedding at Twin Ponds Golf and Country Club we created floral centerpieces in vintage teapots. 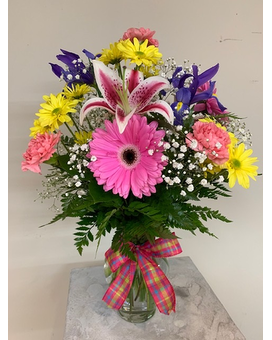 Each table had a different tea pot, filled with yellow gerbera daisies, white daisies, peach alstroemeria, white spray roses, and seeded eucalyptus. 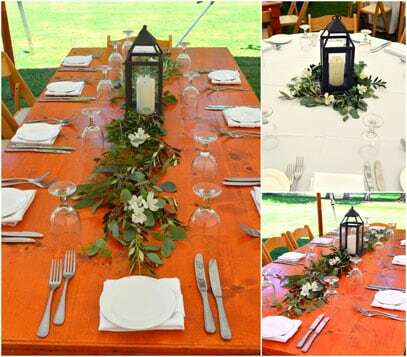 For this outdoor wedding, tables at Harding Farm were decorated with various greeneries including ruscus, variegated pit, seeded eucalyptus, olive branch and were accented with white alstroemeria blooms. 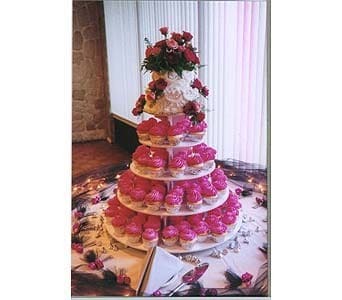 Another beautiful Reception at the Yahnundasis Golf and Country Club. 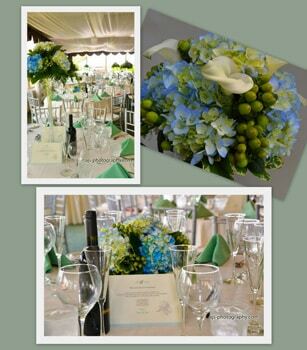 Tall vase arrangements created with Blue and White Hydrangea, and Green Hypericum Berries. 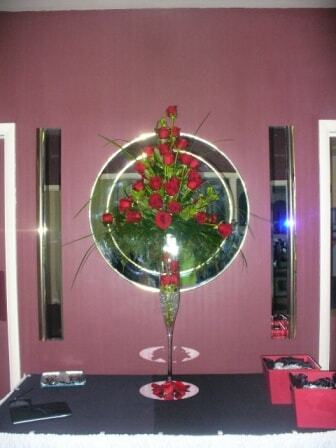 Low arrangements include the same flowers, placed in a glass cylinder. 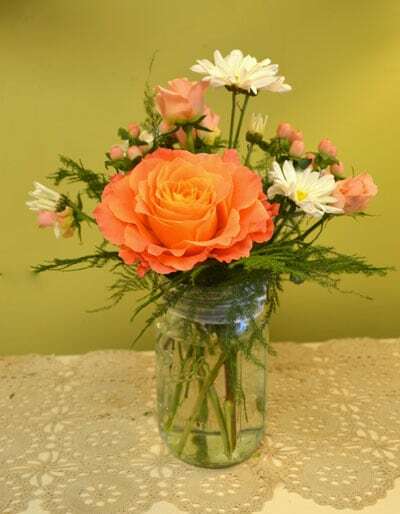 Centerpieces for this wedding at Ventosa Vineyards in included white daisies, peach spray roses, coral hypericum berries and Free Spirit Roses in a Ball Mason Jars. 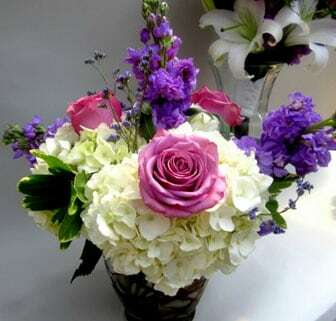 Guest Table Arrangement of White Hydrangeas, Lavender Stock, Lavender Roses and Caspia. 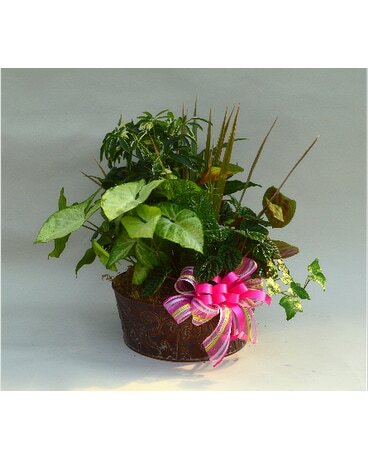 Topiary of Oriental Lilies, Roses, Spray Roses and Wax flower. 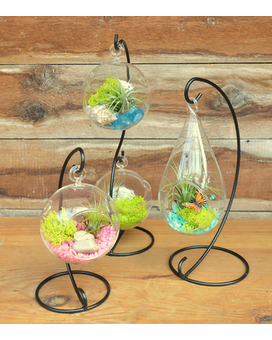 Great for a buffet table. 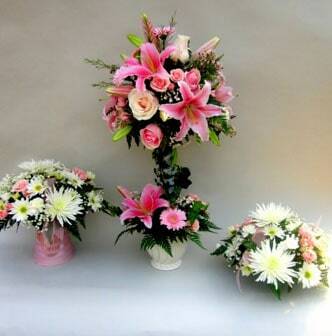 Petite arrangements of Spray Roses, Daisies and Spider Mums for the guest tables. 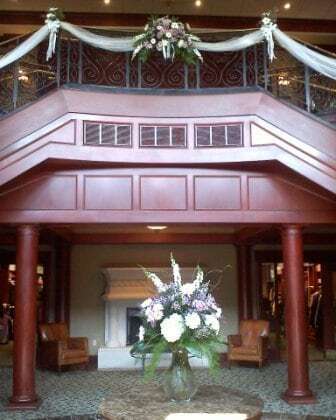 Entranceway to the Shenendoah Club House at The Turning Stone Casino.